How to migrate mail from CPanel to Google App Mail? Months ago, i’ve migrated my mail from CPanel to Google App Mail and it’s satisfactory. I suggest you migrate your mail from CPanel to Google App Mail if you host your own domain and rely heavily on email communication. After since i migrated, touch wood, i have no down time on the mail server, lesser spam, able to access to other google app and everything seems smooth. 🙂 Actually it’s not that difficult to migrate your mail from CPanel to Google App Mail, just few clicks n some enter will do. 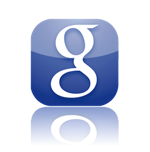 Before you do anything, of course you have to signup a Google App account for your domain. 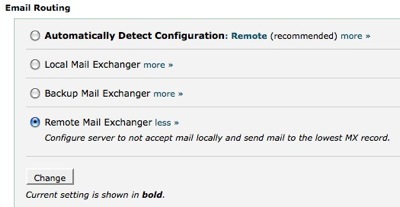 Under the “Email Routing” select “Remote Mail Exchanger” and click on “Change” button. How to setup gmail to receive other POP3 email? Wow this is what I had been looking for from a long time.